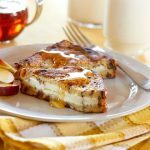 Start your morning off right with something sweet like this SunGold Kiwifruit Toast. Fresh SunGold Kiwifruits, creamy, cream cheese and warm toast drizzled with honey, now that’s a sweet tooth’s heaven. 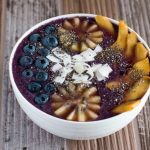 Enjoy this recipe for breakfast, lunch or even as a healthy snack in between meals. 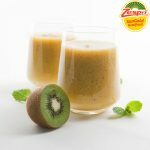 This recipe was kindly provided by our featured member, Zespri Kiwifruit!